Please read and accept our terms and conditions before joining any of our courses or receive a massage treatment from us. To book a spot in any of our retreats or workshops, you need to pay a deposit in advance. Please look at each course specifications as they may be different and some retreat centers do not allow us to give refunds of booking deposits. We also hold the right to cancel a course without previous notice. In this case all amounts paid will be refunded, but we do not take responsibility over any amounts related to your travel expenses such as airplane tickets, transfers or hotel reservations. In case that you are entitled a refund according to the above conditions, please be aware that we will not refund your deposit until the given course has finished. I understand that the massage sessions offered here are for relaxation, stress reduction, relief from muscular tension, and improvement of circulation and energy flow and that they do not serve to diagnose, treat or cure illnesses, injuries, and physical or mental conditions. I understand that this services are not a substitute for medical care. I understand that my therapist is not qualified to diagnose, prescribe, or treat physical or mental illness. I affirm that I have notified of all known medical conditions and injuries. I agree to inform of any changes in my health and medical condition.  I understand that there shall be no liability on the EvaSion ThaiYoga massage team part should I forget to do so. I understand that these sessions are non-sexual in nature.